Fantastic Creations: House of Brass Collector's Edition is rated 4.0 out of 5 by 116. Rated 5 out of 5 by exitramp64 from great game I just tried from a curious place and have not been able to put it down yet. Rated 5 out of 5 by greenshade from Most fun I've had in a while Even though the oldest review is from 2012, this could have been a current game. Such a different storyline and loved all the steam punk elements. No map so you might want to jot down a few things... but for me it just added to the challenge. Gi games is the developer and now I want to go see if I can find more games by them. try it, you'll buy it. Rated 5 out of 5 by skullfun from Become Gwen and the fireflies will help you win!!! What a wonderful adventure this truely was. Dr. Cogglethorpe wants you to be afraid of his mechanical maid. You soon find out that without her help the game cannot be played.....<giggle> I loved the gizmo's, gadget's, and constructing the elevator. This Fantastic Creation brings pure elation! Adored it. I wish I had discovered this one sooner. Rated 5 out of 5 by Diggingdogs from Don't miss out on this one!!! I loved this game! Fun, great graphics, storyline, music, voice overs, HOG, puzzles. I can't say enough. I was only going to play for 1 hour and ended finishing the entire game in about 4 hours. Not a long game time...but fun and easy to enjoy. I didn't struggle to figure out where or what I needed to do next...it was just fun. Lots of puzzles and the HOG's were two different kinds...the standard and (find 12 gold objects). I purchased the CE and I definitely recommend this version because the extra play time is worth it. Rated 5 out of 5 by GrrlScientist from wow, what a fabulous game in this hidden object adventure puzzler, you are trapped on the basement floor of a fabulous mansion filled with a variety of strange, beautiful -- and malfunctioning -- mechanical objects made of brass. these objects were created by eccentric Edwin Cogglethorpe, who provides helpful advice as you attempt to get the the top floor of the mansion so you can escape. graphics: gorgeous, interesting, intricate. 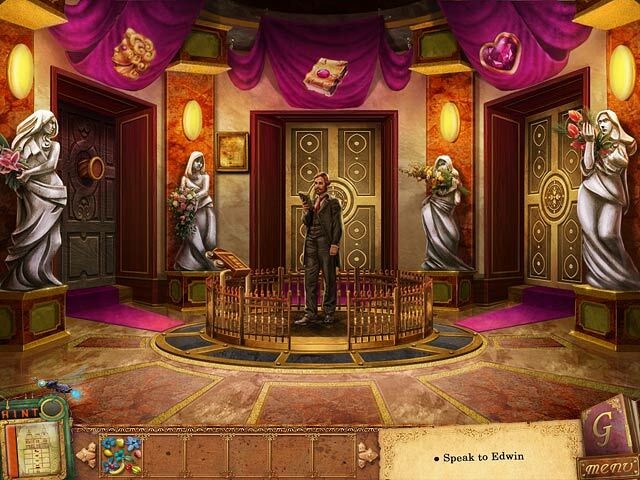 i especially enjoyed the mix of hidden object scenes, puzzles and adventure. 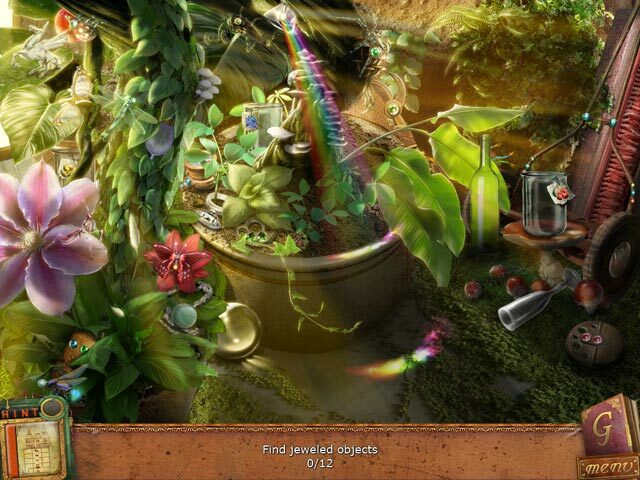 the hidden objects list is different than the usual; instead of listing items to find, the scene would instead ask you to find "12 objects that spin and turn" -- this certainly makes your search list easier to remember! i also appreciated that the hidden object scenes weren't junk piles that required sifting through. the mini-puzzles were also fun, often intricate, ranging in level of challenge presented, and all requiring some thought (you can skip them, but why would you want to?). you do not interact with any people (or ghosts, etc.) in demo mode at least; instead, you interact with robots; mechanical humans and insects. music and sound effects: appropriate. decent voiceovers. storyline: simple but strange. but the graphics were so wonderful that i enjoyed exploring the mansion to see what i'd find next, so the story wasn't incredibly important. my complaints: the cursor was slow or unresponsive at times. scenes took a bit of time to load, which was annoying since Cogglethorpe would talk about the scene whilst the little hourglass was turning, turning, turning, and blocking my view -- i couldn't really see what Cogglethorpe was talking about sometimes. my interaction: one hour demo mode. i played both the CE version and now, the SE version, of this game (although my CE review mysteriously was not published). i plan to purchase the SE version after reading other reviewers' recommendations that the CE version is short and thus, overpriced. this is a wonderful game for those who enjoy a blend of adventure, puzzles and hidden objects along with a healthy dose of intrigue. 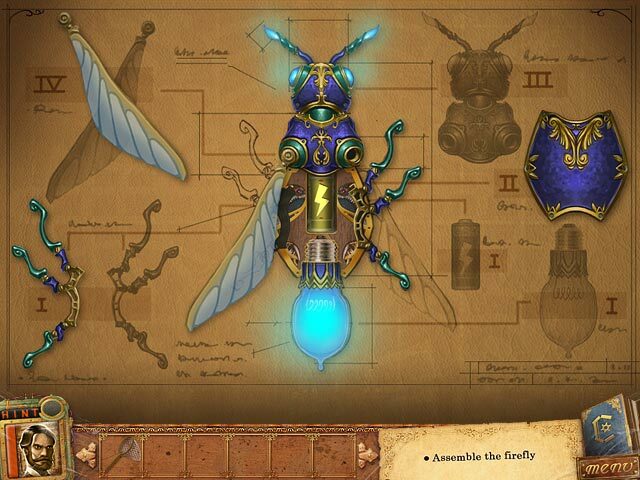 Rated 5 out of 5 by BurningSol from A nicely inventive Steampunk game! Steady-paced Steampunk-style hidden object game with a surprise twist, it was well structured with a variety of games on offer. Strategy guide was supplied in-game in case of being absolutely stumped, while the voices and artwork were pleasant and added to the overall feel. Small task-list gave hints on what needed to be done to progress, and interactive and changing hint bar was new and interesting. Sense of urgency within the game during puzzles was new for me, and fitted the overall storyline well, and the inventions in the title were indeed fantastic. Although it seemed a little short, the extra content added to the storyline, creating fullness to the details and tying up loose ends. I enjoyed it very much, and loved seeing all the new inventions in each room. Rated 5 out of 5 by BellevueBob from Hang on !! Oh Brother....Who ya gonna call ??? Full of twists and turns , who IS that Robot girl ?Friend or foe ???? You'll find out in the end !! So, go for this awesome Hogger !!! Rated 5 out of 5 by SouthernGal820 from Pretty Awesome! This game is pretty awesome. It's very different than most of the ones I have played. The mini games are challenging but possible to figure out. It took me some time on a couple of them but a challenge is good. I liked the graphics and the music went with the scene so it was good. Unique game.